Can't be there? Call Kara to care! Do you work long hours? Are you going on vacation? Do you want the best care for your pets while you're away? Then you've come to the right place! Kara's Creature Care provides professional pet sitting services for Sun Prairie, WI and the surrounding areas. We know your pets are part of your family. You want them to be cared for and spoiled just as they would if you were there. We will do our best to keep your pet happy and healthy in your absence. 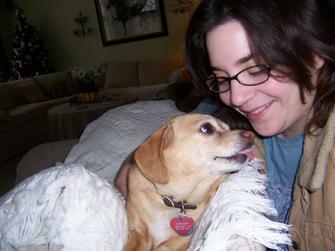 Kara has over 17 years of experience as a pet sitter and excellent references!